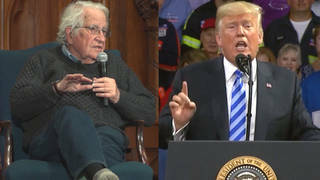 From Iowa to New Hampshire: A Look at the Democrats | Democracy Now! While Vice President Al Gore took a comfortable lead over rival Bill Bradley in Iowa, the Democratic candidates are running neck-and-neck in New Hampshire. Today, a look at some of the issues that the candidates are dealing with, and some issues that have not so far been raised by the mainstream media. What influence are corporations having on candidates whose pockets they have lined with campaign contributions? David Chai, Press Secretary for Al Gore in California. AMY GOODMAN: We move now to the candidates. Today, we’ll be talking with representatives of both Bill Bradley and Al Gore. Yesterday, we spoke with representatives of Alan Keyes as well as Texas Governor George W. Bush after the Iowa caucuses, now in the New Hampshire primary race, is in full throttle. We’re joined right now by David Chai who is press secretary for Al Gore in California. Of course, Vice President Gore is right now in New Hampshire. The abbreviated race there is shaping up on the Democratic side, as, in Bill Bradley’s words, a whole new ball game has begun with Vice President Al Gore seeking opportunities to hitch himself to President Clinton’s economic coattails. Gore, who boomerangs between shunning President Clinton and embracing him, has settled on the latter in his attempt to win next week’s New Hampshire primary and deny Bradley any comeback from his sound defeat in Iowa. Before meeting Gore tonight for their last preprimary New Hampshire debate, Bradley is campaigning at a YMCA daycare center to promote his agenda for middle-class working families. The Vice President is reaching today for credit for the 1996 welfare reform that congressional Republicans pushed and President Clinton signed. The theme of Gore’s noontime appearance at the Electropac Company was timed, aides said, to dovetail with expected news from the White House about Clinton’s proposed budget for new welfare to work investments. David Chai, why don’t we, though, go back first to deal with the issue of Elian Gonzalez? You heard Jose Pertierra’s criticism of the Vice President on this issue. What exactly is his stand? Does he believe Elian Gonzalez should return home? Well, you now, that’s not something, I mean, from an administration standpoint. I mean, the issue is, you know, not clearly something that I should go into. Vice President Al Gore said what he has said on the issue, and I’ll just leave it at that. And what exactly has he said? Well, you know, obviously he wants the — you know, the right thing needs to be done, and everybody wants to look out into the best interest of the family, and that’s all that I can go in on that. But I’d like to, you know, talk to you a little bit more about specifically the campaign and the energy and the enthusiasm that Al Gore is, you know, showing. We are extremely excited about the potential and the possibility of moving this campaign into a real great, you know, time into New Hampshire to talk about the issues. We’re energized by the Iowa results, and we’re going to keep fighting every day. — and particularly about some of the issues that are going on right now, particularly in California and, you know, both nationally. But let’s focus, you know, right now on the campaign in New Hampshire, if you will, or some of the specific things that are going on in California. Those are some real exciting things. Well, these are issues, and we are going to go to a break and come back to you. But one issue that has concerned, I think, people around the country, both with Al Gore’s campaign and Bill Bradley’s campaign and the Republicans’, is the level of money that comes into their campaigns, and in the case, I believe, of Al Gore, more than $300,000 has come in from the rightwing Cuban American community alone in Miami, and a lot of people are speculating that he would stand with Janet Reno in this, the Attorney General, if it isn’t — weren’t for that money, and that it’s hard to — well, let’s leave it at that. What is your response to that? Well, you know, again, I can’t comment on speculation like that, but again, obviously, Al Gore wants the right thing to be done. And, you know, what I want to talk about more so is some of, you know, the issues that are going on outside of that, you know, in the campaign with Iowa, New Hampshire. You know, those two campaigns were extremely exciting, and I want to talk a little more about them and the issues that are going on in New Hampshire and California. OK, and we will do that when we come back from our break. You’re listening to Pacifica Radio’s Democracy Now! Were speaking with David Chai, who is the press secretary for the Vice President Al Gore campaign in California. We’ll be back in a minute. You are listening to Pacifica Radio’s Democracy Now!, the Exception to the Rulers. I’m Amy Goodman, and we are on the line with David Chai. He’s speaking to us from California. He’s the press secretary for the Al Gore for President campaign there. Of course, Al Gore in New Hampshire today, he is stressing economic issues tonight, the last debate between him and Bill Bradley before the February 1st New Hampshire primary, the first primary in the country. David Chai, the issue of the economy and the issue of welfare reform, there are a number of critics of Vice President Gore and the President on the issue of welfare reform, people saying that basically the President ended welfare as we know it after sixty years of support for poor people in this country. What is your response? Well, you know, what Al Gore clearly understands is that we need to, you know, make sure that there’s economic opportunity for all citizens, and he wants to do that by focusing on the critical issues. Education obviously is the top, because, you know, without an education, you know, you are severely lacking in opportunities. But again, the administration and the record, we are clearly better off with this administration, and we’re going to continue to move forward to provide economic opportunity and leave no one behind for the twenty-first century. These are a series of tough questions, David Chai, but I’m sure you’re used to them, or I hope you are, that journalists are really pushing the candidates. 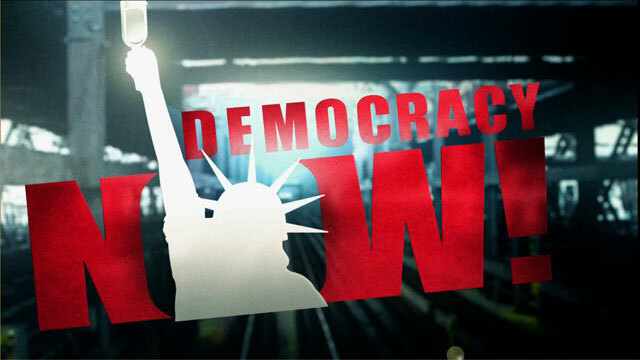 But last week we did a whole segment on Democracy Now! on Occidental Petroleum and Al Gore. Occidental Petroleum, which is deeply involved with California, the Clinton administration presided over the biggest privatization of land in the US in the history of this country with the sale of Elk Hills, this 47,000-acre area, to Occidental Petroleum, that the Republicans had been wanting to sell under their administrations but because of tremendous opposition were never able to do it. And it goes to the issue of Vice President Al Gore’s holdings in Occidental Petroleum. I believe he owns more than half-a-million dollars in stock, his father very involved with Armand Hammer and Occidental Petroleum. And this was all brought out in Charles Lewis’s book with the Center for Public Integrity, The Buying of the President 2000. Could you respond to that? Vice President Gore himself had suggested this sale of land at Elk Hills. Well, I’m actually not as familiar with that particular issue, but I can follow up on that and get a little more clarity on it. But again, you know, in terms of California, let me just say that it is clear that Californians are — understand that Al Gore is a leader that knows the critical issues here in the state and, you know, just recently — let me give you an example for — on Sunday, this last Sunday, we had our statewide caucuses, and we turned out overwhelmingly three-to-one support for Al Gore, in terms of, you know, just grassroots support from people from all walks of life, you know, from working families to different levels of ethnic minorities. And so, the support in California and the understanding of issues, Al Gore is simply very solid, and his support out here is just unrivaled. Well, I know that there are protests today planned in New Hampshire around Vice President Gore’s involvement with Occidental Petroleum and, we just got word, in Colombia, because there are two issues. One is Elk Hills in California, this largest privatization of land in US history, with Occidental Petroleum buying, but also Occidental Petroleum’s very questionable involvement in Colombia, particularly in the land of the U’wa, the indigenous people who in the past have threatened mass suicide if Occidental Petroleum drills. Well, apparently the Colombian military has just taken a group of U’wa from their land and taken them in helicopters and taken them away from their towns, and the Colombian government has just given Occidental the green light to drill in U’wa land. Now, I’ve been speaking to the White House and to the National Security Council about this and about Al Gore’s involvement. They’re saying this is new to them. You must know that there was this Financial Times piece in the last few days looking at Vice President Clinton’s [sic.] involvement with Occidental. Do you know what his stand is now on this, well, critical period for the U’wa in Colombia and Occidental Petroleum drilling there? Well, again, you know, as the other official said, this is somewhat new to me, too, as well. So — but again, I just want to reiterate, the issues out here in California, you know, are very clear. What we need right now is a leader that’s going to show true leadership around issues around education, around crime, the economy and the environment. And Al Gore has shown time and time again for Californians that he is there and he is willing to fight the good fight, you know, in providing more funding for teachers, making sure that there’s safer streets with more law enforcement. So, Al Gore is very strong here in California, and his support remains very strong. All of the questions I’ve been asking you are obviously related to money, related to campaign finance money. I mean, you’ve got the head of Occidental Petroleum giving hundreds of thousands of dollars to the Democratic Party. You have, in various cases, obviously, that situation. And no matter how much representatives talk about the issues, say buzzwords like “education” — unfortunately, they become buzzwords — and “healthcare,” people want to know where the money is coming from and why the politicians aren’t taking extremely strong stands on campaign finance and just saying take private money out of these campaigns. What’s Al Gore’s response to that? Well, I mean, you know, certainly, within the system, you know, as everybody has admitted, you know, desperately flawed, we do need to push for campaign finance reform. But if you look at it, you know, traditionally, the Republicans are outspending us over two-to-one. And what we need to do is work within the system. We need to obviously focus on campaign finance reform, but we also need to make sure that citizens out there are hearing the message and hearing what the candidates are talking about, and Al Gore has been fighting out there every day to get his message across, in terms of education, universal healthcare, really making sure that we’re keeping this prosperity humming along for the twenty-first century and leaving nobody behind. Finally, the issue of healthcare. What about single-payer healthcare? Vice President Gore did not support it, taking the insurance industry out of this, taking big business out of healthcare in this country. Well, I would say that in terms of, you know, the scope of healthcare, that clearly the way that Al Gore sees this type of issue, he wants to make sure that healthcare is affordable for everybody, and he’s going to do that in a smart way, in a tactful way that’s going to make these changes, but he’s going to really focus on, you know, making sure that no one is left behind, that children are insured and that families can afford healthcare. And his approach is the right approach. We’re seeing overwhelming support here in the state of California for that, and we’re going to continue to push for that. Well, David Chai, we’ll talk more extensively with, we hope, Al Gore himself in the coming weeks on these issues of healthcare, on crime, on the issues of police brutality, the kinds of issues that are not raised as much by the corporate press but are of very serious concern to people around the country. David Chai, press secretary for Al Gore, speaking to us from California, thank You. And we turn right now over to Bill Bradley’s campaign. Bill Bradley, right now, also — Bill Bradley, also in New Hampshire. Bill Bradley is, well, trying to make up for what happened in Iowa. His spokesperson joins us from New Jersey, where the national campaign is. Jacques DeGraff is with us from New Jersey . Welcome to Democracy Now! Good morning, Democracy Now! It’s good to be able to tell our side of the story. Well, why don’t you lay out what it is? Well, let’s start that we are working from the national headquarters, so we’ve got a little bigger picture than one state, but that this campaign has achieved its goal. We said that we would try to meet the mark of 31 percent in Iowa. No insurgent candidate had ever achieved that goal. We got 35 percent. This is the most formidable insurgent candidacy in the history of the Democratic Party. Don’t just take my word for it. Let’s look at the facts. In New York, Pennsylvania, Ohio, California, Maryland, we will be fielding full delegate slates in every congressional district in all of those major states and in every state in the country. We are prepared to go toe-to-toe with the Vice President of the United States in every congressional district. What that means is that he will have to answer questions before Democrats of all demographic stripe in this country in the days and weeks ahead. We are prepared to go in New Hampshire. You’ll be seeing us across the country fielding a full campaign to take our vision and our message to the American people. Let me play for you a comment that a political commentator made about Bill Bradley. This is Jim Hightower. He’s the former Secretary of Agriculture of Texas, and he’s just written a new book, If the Gods Had Meant Us to Vote, They’d Have Given Us Candidates. And in a recent speech he gave on the 2000 election, which he calls “Space Odyssey,” he talked about each of the candidates. This is what he had to say about Bill Bradley. JIM HIGHTOWER: Bill Bradley has taken more money from Wall Street than any other candidate. He was a servant for eighteen years in the US Senate for Wall Street interests. He never stood for any of the issues that he now says are at the center of his campaign. Campaign finance reform, poor people, healthcare — never heard him mention those things back then. Bill Bradley has more than 80 percent of his money coming from big contributors. His top six contributors: Goldman Sachs, Lehman Brothers, Merrill Lynch, Citigroup, Morgan Stanley, JP Morgan. When he left the US Senate four years ago, what did he do? Did he go out and lead a crusade for campaign finance reform? Did he build houses with Jimmy Carter and Habitat for Humanity. No, he joined JP Morgan as a consultant, making $300,000 from them. Bill Bradley is a decent human being. Bill Bradley is a smart man, a sincere man. Bill Bradley can hit the jump shot from the post. But Bill Bradley is not going to stand against the powers that be for that workaday majority that’s seen their income go flat and go down. That was former Texas Secretary of Agriculture Jim Hightower on Bill Bradley. Can I get your response, Jacques DeGraff of the Bradley campaign? Certainly. Jim Hightower is certainly entitled to his opinions. The facts say that 70,000 Americans have contributed to Bill Bradley’s campaign, the most, again, formidable insurgency in the history of this country. People from coast to coast have contributed, and people on Wall Street have rights, too. They provide jobs, and they are only a reflection, in a capitalist society, of what we’re doing. But Bill Bradley’s campaign has attracted more contributors than any other candidate on the internet. It has attracted contributors from coast to coast in the Democratic Party. Our fundraising effort was so significant that in the fourth quarter we out-raised the sitting Vice President of the United States two-to-one. And I think the most important thing to recognize is this: this campaign and any campaign is not a campaign between what a candidate A and a perfect individual in a perfect dream world. We live in a real world with real choices. The choices for Democrats in this year, 2000, are between Bill Bradley and Al Gore. And when you put the two side by side, a man of decency, compassion and vision, we think the choice is clear. Well, it’s true that Bill Bradley, one of his first campaigns — rather, Al Gore, one of his first campaign stops after first announcing for president in Tennessee was on Wall Street. I was there as he made his announcement surrounded by all of the buildings that represent economic power in this country. But that top ten career patron list of Bill Bradley, being the number one recipient of Wall Street money, is very serious — Citigroup, Merrill Lynch, Goldman Sachs, Morgan Stanley, Time Warner, Prudential Insurance, the Walt Disney Company, equitable companies, Lehman Brothers — and may also go to a point when you see insurance companies, for example, that when he talks, for example, about healthcare and he would revolutionize health insurance in this country, why candidates like Bill Bradley, and he himself, don’t push the issue of single-payer, because they also represent the insurance companies, and this is just simply big business. When you call off that roster of economic titans on Wall Street, it is nearly a tone that these are enemies of the American people, and that’s simply not the case, since the American people are big stockholders in these companies, number one. Number two, it was Bill Bradley who put healthcare at the center of this presidential debate. It wasn’t being discussed by anyone else. In fact, the mainstream corporate press that you talked about first criticized Bill Bradley for not discussing any issues. When he started to discuss the issues, they had become the centerpiece of this campaign. It was Bill Bradley who raised healthcare. It was Bill Bradley who raised children and poverty. It was Bill Bradley who put race at the center of this campaign. We’re not going to apologize for the fact that we are able to attract the support, because without that support, we wouldn’t be having this discussion. We’re running against the Vice President of the United States. He gets on Air Force Two. He shakes hands with the President at the White House. He comes to states and is endorsed by the leadership of the party. And yet, Bill Bradley has been able to out-raise him in the money category. Bill Bradley has been able to out-organize him or equal his organization across the country. And so, the focus of the message is not the past, but the future. Where are we going as a country? Where is the Democratic Party going to take people? And if we want to look at people’s vision, that’s what we’re taking about. We’re talking about a man who has talked about leaving no one behind and through his campaign has done that. In California, where I understand my opponent was speaking a little earlier, they talked about their outreach. Well, the fact of the matter is that we have more first-time people participating in the process than ever before. It really gets down to who do you trust. The choice is not between Bill Bradley and perfection. It is not between Al Gore and perfection. It is between Bill Bradley and Al Gore, and when you look at Bill Bradley’s record of integrity and decency and his commitment, you will — I believe that you will say to the people, the person who people will trust with their lives, with their future and this country will be Bill Bradley. What about the Elian Gonzalez case? Where does Bill Bradley come down on whether Elian Gonzalez should be sent back to be with his father in Cuba? Well, Elian Gonzalez is obviously a troubling case, and it’s a heart-wrenching case. And Bill Bradley has said on the record that he obviously wishes that Elian’s father could come and join him and stay in America. But this a case now before the courts, and as a presidential candidate, we’re not going to interfere with that kind of process and comment on that process. It does, however, raise these kinds of issues. It raises issues that at the same time the country and the furor is going on over Elian Gonzalez, a Haitian mother comes to the country under similar circumstances and is taken — her children are sent back to Haiti. It says what kind of immigration policy do we have and what kind of policy should we have. Those questions need to be raised in this race, and Bill Bradley is raising them. Finally, the issue of race and the issue of police brutality. I know that in an Iowa debate, Bill Bradley challenged Al Gore to whether he would sign an executive order against racial profiling if he became president, and race has been an issue that Bill Bradley has talked about. But in terms of police brutality and in terms of people in prison, the disproportionate number of people of color in prison and on death row, what is Bill Bradley’s stance? Bill Bradley is very, very concerned about these issues. Let me start with, at the height of the Amadou Diallo case in New York City, it was Bill Bradley who came to New York and gave a speech on race. Race is not in the polls. Race is — when you poll any group, race does not appear as a major concern, and yet Bill Bradley raised that as a concern, has spotlighted that issue. It’s an issue that he talks about everywhere he goes. Bill Bradley talks about it in Iowa. He’ll be talking about it in New Hampshire. Is he for the death penalty? Yes, he is for the death penalty. Also, today in New York, three women are being released from prison. All have served more than ten years for nonviolent drug offenses under in New York the very draconian Rockefeller drug laws. But there are laws like this at the federal level, as well. Where does he stand on the hundreds of thousands of people in prison today who are serving these extremely long sentences for nonviolent drug offenses? Well, Bill Bradley has talked about a new look at mandatory federal sentencing. And since this is my last question — I’ve responded to your question — I just want to add one thing. As we listen to the choice, it’s a clear choice for Americans. The choice is between Bill Bradley and his vision for the future and what my mother would have called that “Pinocchio crowd” that seems to have a difficult time taking the truth and building on it. Bill Bradley stands on his record. He has no apologies to make. He has been a US senator, voted for in one of the most significant states three times. He’s been a golden — he’s been an Olympic gold medalist. He’s been a winner, and he has been a person who has stood on his ideals and his principles for thirty years of service. Jacques DeGraff, is he for the abolishing of mandatory minimum sentencing? He’s not for the abolishment of it. He’s for a review of it, for a restructuring of it. Well, I want to thank you very much for being with us, Jacques DeGraff of the Bradley campaign, and I hope it won’t be the last time. Thanks. You are listening to Pacifica Radio’s Democracy Now! Of course, we’ll continue to look very closely at the races. Again, February 1st is the first primary in this country, and it’s in New Hampshire. Important to note that what are considered some of the most important primaries, the first, the primary in New Hampshire, and also the Iowa caucus that just took place are in some of the whitest states in this country.